Includes headphones only. No additional cables, rubber head band, cases or original packaging included. 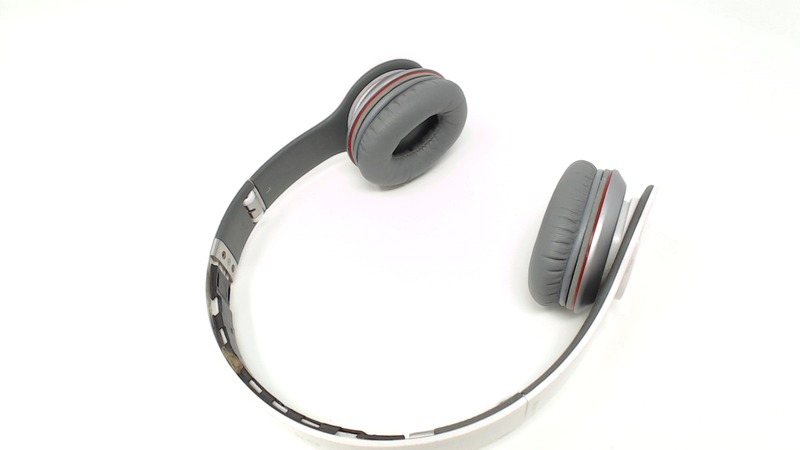 Plays music with no problem but there are no ear pads, no audio cord, no inner rubber headband. Plastic will have some wear and may feel tacky. 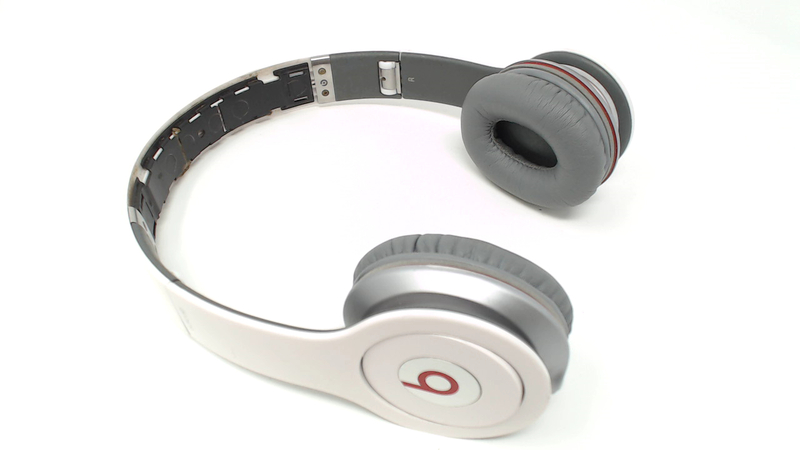 Ear pads are used, will be faded/discolored/have flaking but no rips or tears WIRED ONLY..